The great view of Hakata Gion Yamakasa festival right outside the window of Fukuoka Tenjin Fukoku Seimei Building! 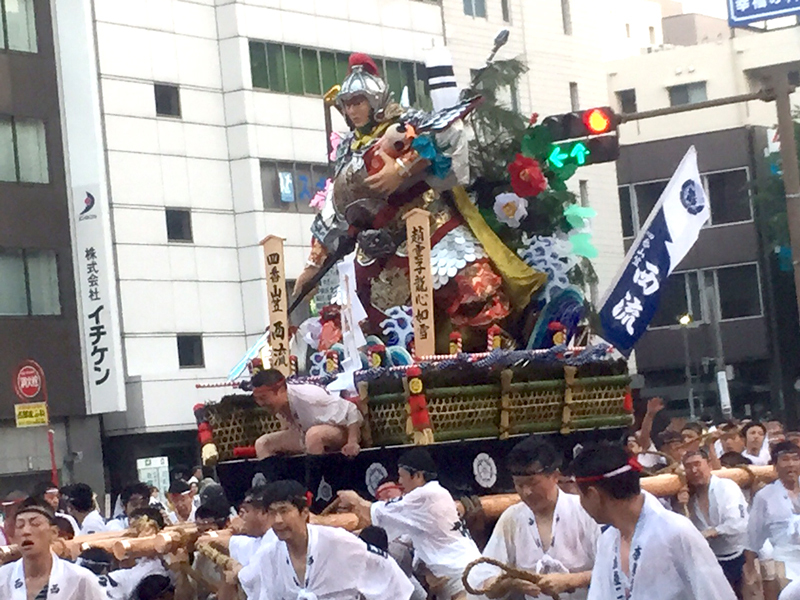 Last month, the Hakata Gion Yamakasa festival was held near Fukuoka Tenjin Fukoku Semei Building. Hakata Gion Yamakasa is a Japanese Festival held in July, which is famous for its float-racing, and it attracts up to a million people. 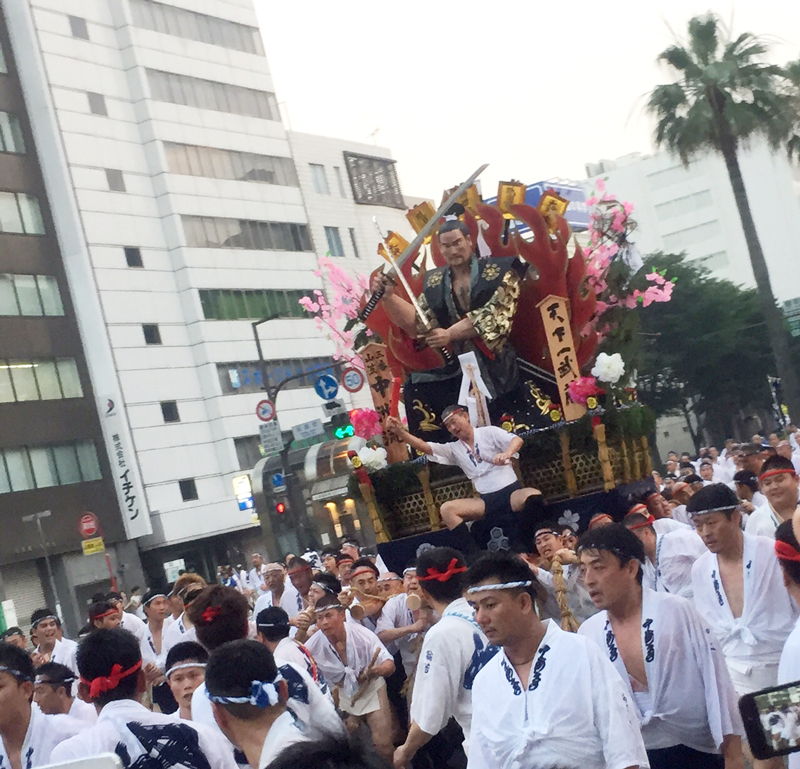 It is a festival which celebrates the tradition of welcoming the summer in Hakata, and has been held for 774 years. 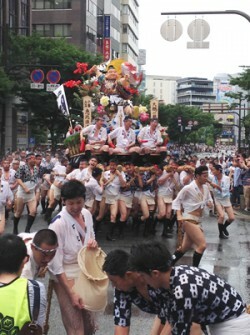 In this festival, men wear “happi”, traditional Japanese clothing, and carry a one-ton float called a “yama” (or mountain). It is a sight to be seen! The men who carry the “yama” do so while calling out “oisa!” and shoulder the heavy float for 5 kilometers, all the while those from the roadside will throw water on them called “kioimizu” or water of vigor. 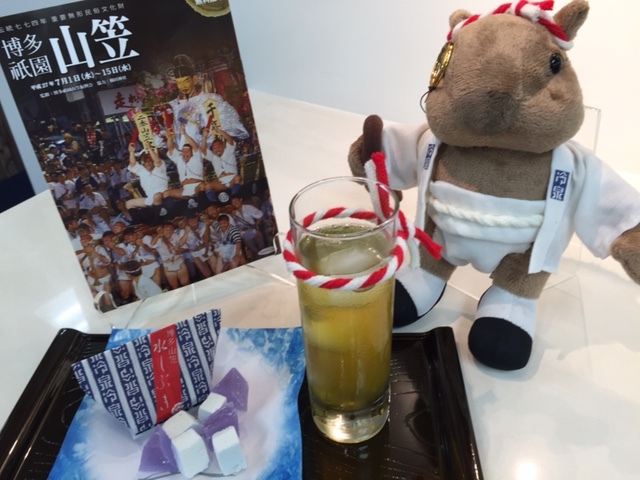 Servcorp's mascot, Sidney the wombat, feeling all the energy coming from the festival, decided to don the Japanese “happi” as well to get in the festival spirit. 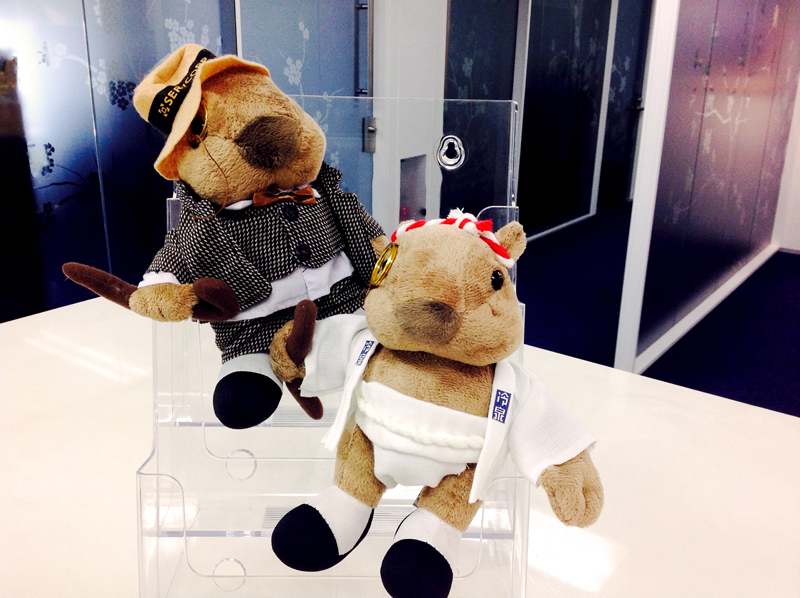 Sidney's yukata was handmade by the staff. What a lucky wombat. One of the big streets right in front of Fukuoka Tenjin Fukoku Seimei Building is “Yamamise street”. Since this street was on one of the paths for all the floats, the staff got to take a lot of pictures! To see the huge floats and the force with which the men passed through the streets from beginning to end was overwhelming. The office clients, gazing down interestedly through the office windows said, “Wow, it's a bit different to see the float from above! Stunning view!”. Also, during the festival the staff handed out some sweets and green tea to the clients. Many people from outside the prefecture came to the Hakata Gion Yamakasa festival and we hope that, if you have the chance, you'll try to visit too! And when you do, please make sure to drop by the Fukuoka Tenjin Fukoku Seimei Building Servcorp!